Attaching a light pulley for a rope halyard on a flagpole. To hook a light tackle on a vertical or horizontal spar. 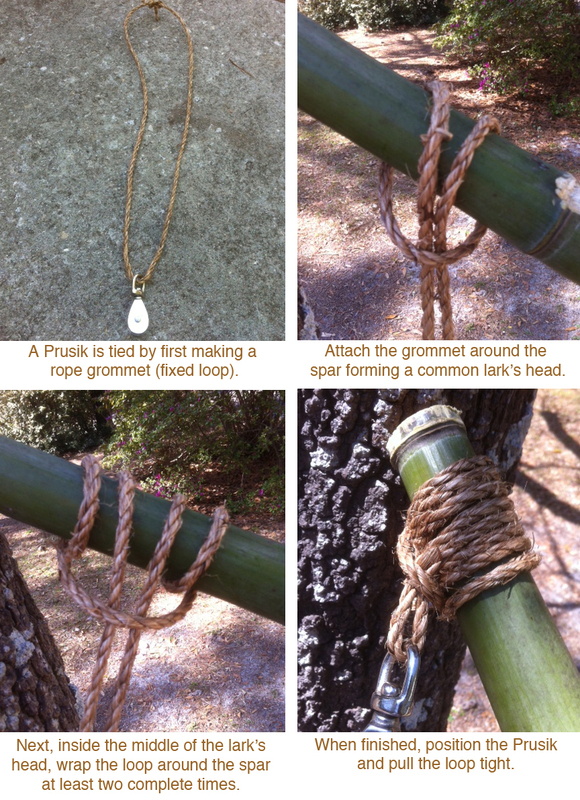 To make hand and foot loops for climbing another rope or vertical spar. To make hand and shoulder loops as an aid to hauling a large log. It can easily be moved along as the positions require. To provide the grip and a loop to tie another line with a sheet bend.